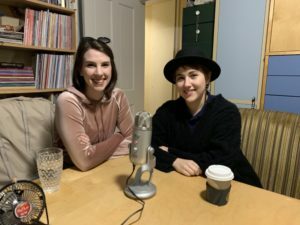 Anna Baumgarten & Laura Holliday came by to answer the Four Questions. Director Laura Holliday and writer/producer Anna Baumgarten collaborated to make Disfluency, a brilliant film (watch it now!) that cleaned up the awards a Film Invasion Los Angeles 2018. After the interview about their backgrounds and their film, they took the time to answer the Discover Indie Film Four Questions.